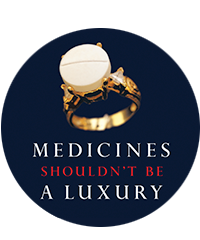 In 2016, MSF's Access Campaign succeeded in getting pharmaceutical giants Pfizer and GlaxoSmithKline to significantly drop the price of the pneumonia vaccine for humanitarian organizations working in emergency settings. That victory followed seven years of negotiations behind closed doors, topped off by a high-profile public campaign for A Fair Shot. The story of A Fair Shot campaign is an example of how MSF uses public advocacy to speak out on behalf of our patients and change global health policies.